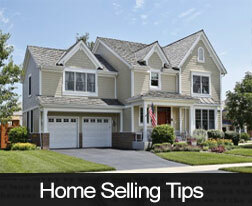 A staged home is more appealing to buyers and helps to highlight your home's positive features. However, staging is not meant to cover major flaws in your home. Some things just have to be repaired. It doesn't matter how pretty your home is, your buyer is going to expect you to fix roof problems or adjust your price to cover them. Your roof is one of the most important parts of your home. You have to expect your buyers to walk around your home checking out the views from the windows. They're going to notice any cracks. If you have the budget, consider upgrading your windows and making your home more marketable. At the very least, you should have the glass replaced. If you have torn screens, your buyers may think you don't take care of your property. Yet, screens are fairly easy to fix on your own. With the right supplies from your local hardware store, you can have new, sleek screens in less than a day.